Family First says that government statistics reveal that there has been a significant increase in the numbers of babies and toddlers in childcare and length of time they are spending there, with some babies in daycare longer than a normal working week for adults, yet the government is ignoring the real concerns of whether this is good for very young children and babies. According to the latest stats, approximately 25% of 0-2 year olds in daycare attend for longer than 30 hours per week, with more than 10% being there longer than 42 hours each week – longer than a 40-hour 8-hours-per-day working week. But the trend over the past decade is also alarming. 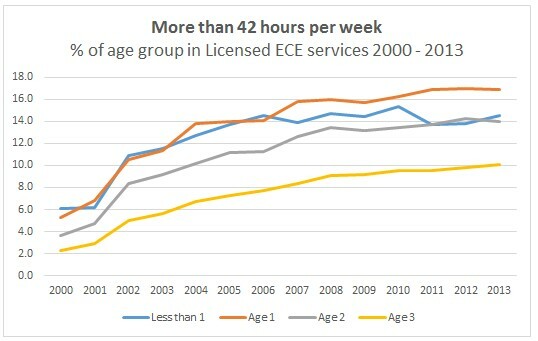 The proportion of babies and toddlers in long periods of childcare has, on average, tripled since 2000, with the proportion of 0-1 year olds attending for longer than 42 hours higher than 3 year olds. “These statistics are concerning. Babies are spending more time in daycare than primary age children are expected to spend at school when they first start,” says Bob McCoskrie, National Director of Family First NZ. “The findings in the Brainwave Trust’s report Childcare: How are the Children Doing? released earlier this year echoed the same concerns we raised in 2012 with our report WHO CARES? : Mothers, Daycare and Child Wellbeing in New Zealand which argued that attending daycare for an extended time and the consequent separation from parents is a significant source of stress for many young children which could have potential long-term consequences for their mental and physical health as adults. 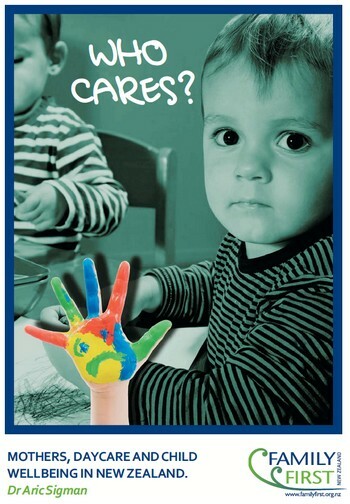 As stated in “WHO CARES?”, daycare continues to be evaluated by later child outcomes in terms of ‘skills’ such as language or ‘school readiness’. But what has proved elusive is an understanding of how the young child is affected emotionally and physiologically, and how they experience daycare while they are actually there. Babies can’t speak and toddlers have limited verbal abilities. However, a new generation of research from the biosciences is starting to provide an insight into the real-time effects of daycare. These findings are at odds with the information most policymakers and members of the public have been exposed to. 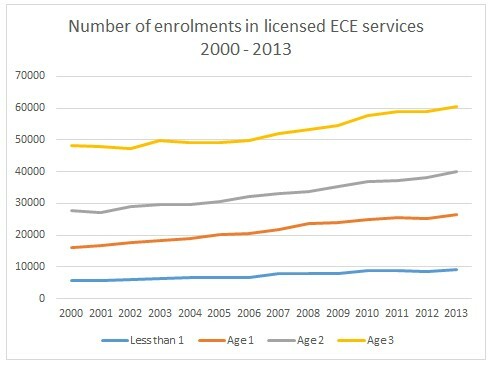 Moreover, there is no mention of this evidence by either the Ministry of Education or the Education Review Office (ERO), which regularly monitors New Zealand’s childcare centres. The Brainwave Trust’s report stated; “Although the evidence suggests that some high quality childcare may benefit children over 3 in certain circumstances, this does not mean that starting earlier and attending for longer hours is also beneficial. In fact, our research indicates that there may be risks involved with non-parental care “too early” and “for too long each day”. “There is growing evidence of profound beneficial neurobiological effects a mother’s physical presence has on her young child that cannot be achieved by anyone else including paid childcare workers. Mothers have been undervalued, and many parents use daycare because they simply can’t afford not to,” says Mr McCoskrie. “As stated in our 2012 report, full-time parenting should be seen as a child’s right, and any discussion of daycare should cease communicating what is assumed adults are interested in and instead make judgments about what is likely to be in children’s best interests. New Zealand should also undergo a timely and long overdue re-evaluation of motherhood,” says Mr McCoskrie.